To reach a changing culture, the church needs to change. Rapidly. A guest post by Carey Nieuwhof: Carey Nieuwhof is lead pastor of Connexus Community Church and author of the best selling books, Leading Change Without Losing It and Parenting Beyond Your Capacity…. Click the link below to read the full post with the 11 traits. Don’t get me wrong, we don’t need to change the message. Just the method. One is sacred. The other is not. However, I think a few trends are becoming clear. Not all of these might be correct, but I think the following eleven traits describe the kind of churches that will have a significant impact a decade from now. I like to look for connecting points. Did you like those “connect-the-dots” puzzles when you were a kid? I did. I loved looking at the jumbled mess of numbers and black dots and then seeing them take shape as I connected one dot to another. 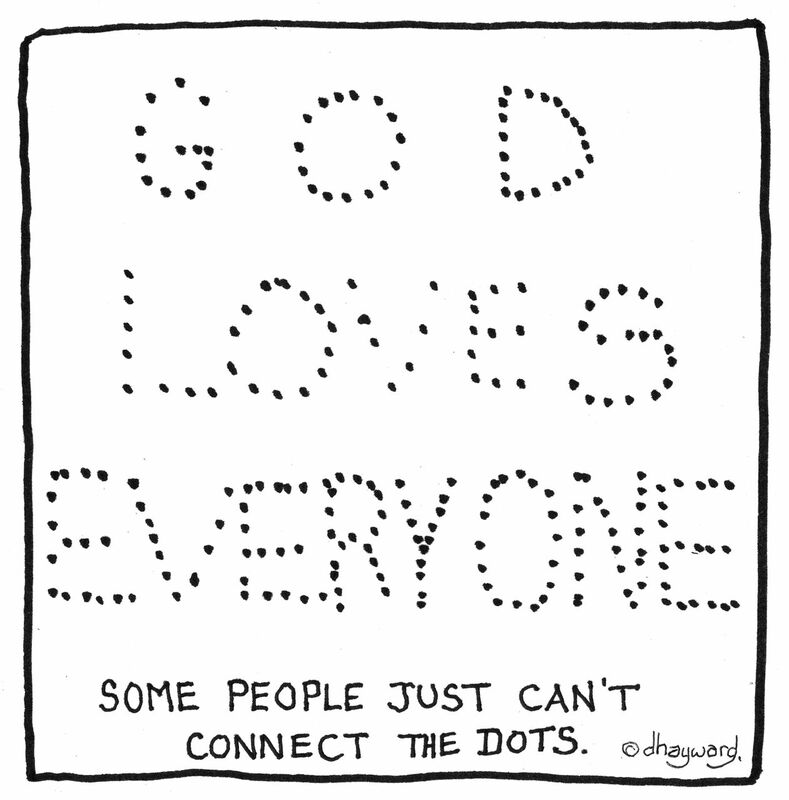 I think the Christian life is like a connect-the-dots puzzle in some ways. We are all just dots in a community with the potential of being part of a pretty cool drawing. But we’re different from the black dots on the pages of the Highlights magazines in doctors offices. They’ve got no choice but yield to the will of the pencil. We have a choice. Will I like the picture? Are the other dots going to be just like me? Will I want to be with these other dots? Those dots over there bug me, are you going to try to connect me with them? God loves to draw. He loves to create. He never changes but His creation is forever changing, growing, shifting and moving. We change with it. For example, I just pulled out my warm coat, mittens and hat for this afternoon’s community children’s trick-or-treating event. It’s a new season. I could stubbornly dig in and refuse to change my behavior from August but I would look pretty silly standing out there shivering in my shorts, t-shirt and flip-flops. Adapting to change is life. Then, we host Jesus movies and concerts in our buildings and wait for people to come. Then, they don’t come. Christians come but not the people we are called to reach. How can we ever connect with people? Why don’t they come to us? Instead we see pictures of Him going and of them going and being with the people. They were in their communities rubbing shoulders with people, having meals together and living life. Did you know that today the longer someone is a Christian the fewer non-christian friends he has? Dan Kimball in “They Like Jesus but Not the Church” demonstrated a bunch of unsettling realities of the breakdowns churches are having in reaching their communities for Jesus. But it’s hard to meet people today, right? I disagree. Friday night football brings hundreds in your community together. School events, basketball, community fundraisers, parades, old home days… people are still gathering. In fact, many of us will be bombarded with neighbors ringing our doorbells on Thursday night. While some are wound up with being mad about Halloween, we miss the opportunity to meet our neighbors, complement their children’s costumes and give a warm welcome when they are coming to us. We miss even the possibility of developing a connection. It’s not difficult to meet people. What is difficult is taking a risk by starting a conversation or introducing yourself and asking for a name. People are still all around us but we, just like the disciples, need to initiate relationships. We need to remember the mission and go. Tonight I will get to connect with hundreds of dots. I will get to laugh, smile, talk and share by being part of what my community is doing. No, I’m not going to boycott it because it is Halloween. In fact, I suspect that Jesus Himself would have been walking these streets tonight if He were here. Light is most effective in dark places. Next Thursday night I will make a crock full of chili and gather with several of my neighbors to welcome a hundred or so trick-or-treaters. We’ll talk about life, laugh at costumes, tell our dogs to stop barking and we’ll strengthen our relationships. Two years ago my dot was not connected to any of these people but today we have a solid line that is growing thicker with each shared experience. We are becoming friends. I don’t know what picture God is drawing yet but He can use the dot of my life however He desires even if it requires me stepping outside my comfort zone. I’m excited about the possibilities! What will it take to reach people like this with the Hope of Jesus here in Westbrook? Before my liver transplant, I spent 3 years asking, “How can the Church reach today’s un-churched and de-churched culture with the Hope of the gospel?” I read piles of books, listened to hundreds of hours of lectures, pulled apart scripture and studied survey upon survey. At the end of my studies, my seminary gave me a piece of paper saying I was a Master of Ministry in Evangelism and Church Planting. But, honestly, I sometimes wonder if I left with more questions than answers. I think that’s true of everyone who studies evangelism because there is no formula for success. No matter what church growth agencies claim, there is no guarantee of growth. But, there are very strong similarities among growing churches. Some of the similarities in growing churches can give us some questions for self-evaluation. But like the fifth grader grading his own math homework, we face the temptation to overlook our own weaknesses and elevate our grade. Location. The fastest growing churches are in new suburbs. The second fastest are in “downtown” centers. Racial diversity. Churches that are multi-ethnic are showing the most dynamic growth. A clear purpose and reason to exist is evident and embraced in growing churches. Spiritual vitality with people living out their faith is evident. Joyful worship format is a key component in growing churches. The statistics come from a 2005 survey of 885 random congregations. (Read more…) We can get mad at the data but it doesn’t change anything. I find some encouraging things in the data for First Baptist Church in Westbrook. As your search committee seeks the next pastor, I see positives on the horizon. What are they? You can’t get any more “downtown” than 733 Main Street. We are within a short walk of hundreds of people in tightly packed neighborhoods. Westbrook is becoming more and more racially diverse with each passing month. We have exciting new opportunities to meet new people, experience new cultures and become more global. The energy is growing more and more contagious. I am loving the smiling faces and hugs I am seeing on Sunday mornings when we gather. The singing is LOUD and enthusiastic. Spiritual vitality is growing and I sense joy and encouragement. Our purpose is clear! To make disciples for Jesus. But, there are also challenges we will have to face as well. Change. Are we open to change? Are we willing to to take risks for the gospel? If your new pastor is going to be effective he is going to need your support. Everything apart from the message of the gospel must be open to change. Service time? Service format? Music? Teaching Tools? Styles? Methods? Atmosphere? Are we open to doing what we must to attract and welcome outsiders so that they discover Christ and begin to grow in Him? Outward focus. Are we willing to die to self and become more concerned with others than we are with our own preferences? At my former church I was blessed to call Dennis Pitman my friend. Dennis was in his late 80’s, a little hard-of-hearing and always wore a suit coat and tie. Dennis loved to attend the traditional service to sing his favorite hymns and worship with his friends. But then, as the building cleared and his peers headed home, Dennis excitedly got ready to serve. The choir chairs were replaced with a drum kit, amps rolled onto the platform and microphone stands sprouted up with the contemporary service musicians making preparations for the second service. Young families with mom’s carrying babies and wiggly 8 year-olds holding dads’ hands made their way into the auditorium. College students wearing hoodies and holding large coffees from Starbucks chatted with friends as they found their seats. Teenagers loudly headed for the balcony. It was an entirely different crowd than the people who had just left. “Check 1, check, 1, 2 …” musicians spoke into their mics while people gathered. Meanwhile Dennis, with his beaming smile and radiant joy, set out to give every single person a warm, genuine welcome. I swear he had an enthusiastic bounce in his step. Dennis was such a contrast to a woman I will call Wanda. Wanda was Dennis’s age. Not many a week went by when she wouldn’t stop me as she left the service she preferred to let me know how much she hated drums and was disgusted by the “disrepectful” clothing of the people who were arriving. I remember her being particularly upset with a 30 year old guitarist because he had some holes in his jeans and was wearing footwear she did not appreciate. She didn’t like his haircut, his necklace, the bracelet he wore or his shirt. She gave me an earful most every week. I tried to explain that this young man’s outfit and look probably cost him $300 and he was wearing his very best bought at the Mall’s most expensive stores. Among his peers his look was tops for style but to her, it was an affront to God. What a contrast between Dennis and Wanda! If it were up to Wanda the church would discontinue that contemporary service and send those 200 people on their way. But Dennis? Dennis loved seeing a younger generation hearing the Word every week. Dennis loved noisy babies and wiggly children. Dennis would warmly welcome the college kid still in his sweats after studying all night with the same enthusiasm he had for the sharply dressed woman who loved being able to get spiffed up and out of the house Sunday mornings. I loved Dennis. Sadly, he passed away a few years ago. I can still picture him standing at the doors to the auditorium with a stack of bulletins in his hand. I can hear his southern accent and can see him gladly receiving hugs from the people who grew to love him. I can see him bending over to shake hands with a toddler and hear him telling a woman from the Congo how beautiful she looked in her bold colors and headwrap. Dennis loved to welcome everyone. I loved the hymns of the traditional service with the staff organist and music director leading. The choir could send chills down my spine. The audience was mostly made up of grandparents and retired folks but included some full families with younger people too. I loved seeing a whole family fill a pew from a newborn all the way through Gram and Gramps. The worship was vibrant and the message was always solid. And then I loved sitting in the contemporary service with my wife and teenagers. The crowd was mostly under 45. The music was loud and energetic and the worship was sweet with numerous hands reaching heavenward. I loved seeing new faces and people hearing the gospel for the first time. The message was always solid. In fact, it was the very same message that had been delivered in the traditional service. Wanda was not a fan of change. Dennis was in favor of doing whatever was necessary to reach a new generation and see them come to Christ. The styles were entirely different. The atmosphere was entirely different The message of the gospel was entirely the same. My prayer for FBC Westbrook is that your new pastor arrives to find a congregation of people who are like Dennis, willing to set aside their own preferences and agendas to see people impacted for Jesus. The demographics of Westbrook are changing. The city is changing around us. What are we willing to do differently for the sake of the gospel? It was no different in this story from Numbers 13. The delegation of spies return blown away by how great the land is. But 8 of the 11 think with their “buts.” They admit the land has everything they could want but that there are big, warrior guys living there. Sure, they’ve been following God and watching water come out of rocks, pillars of fire, food from sky and an escape from Pharoah’s army but they’re scared of the guys they call giants. They’re so scared they start telling people scary stories and get the people all wound up. You’d think things might have changed in the faith world over thousands of years but, no. It’s the same. God calls us to go and make disciples, trust Him, take risks. We get some people who want to do that in our churches every now and then. We spiritual types say these folks feel “called.” When they start getting ready to take risks, it’s often the same 80% like in Moses day who start thinking with their “buts.” It’s especially true of attempts to revitalize historic churches. * But I like it this way. * But we’ve never done it that way. * But we tried that once. * But if we attract new people, they will take over. * But this has always been my church. * But God gave us that money for emergencies. * But I don’t like that style of music. * But I like it better in this room. * But I don’t like that style of preaching. * But we need to protect our sanctuary. Why are we thinking with our “buts” rather than following the Great Commission? I think I know how Joshua and Caleb would have responded. Caleb would have wanted to charge out and just get started and do all the planning later. He would have been pumped. Joshua would have been pumped too but would have stepped back to put a team and a plan together to follow God in His timing. The American church is facing some tough realities. While it has withdrawn to its brick and mortar fortresses offering a variety of programs for Christians to enjoy, each generation is less and less likely to encounter Jesus. Churches have been closing their doors at a rate of 3500 per year and new church plants have not put even a dent in affecting the growing population of the US. What does that mean? It means that nearly 2 of 3 people you meet in Greater Portland are totally disconnected from a faith community. They are not experiencing the belonging, the support, the friendship and family of this faith community we love. It’s time to stop thinking with our “buts” and start trusting God. It’s time for the churches of America to grab hold of a pioneering mindset once again and actively plant churches in every community and aggressively re-plant declining churches. It’s time to call men and women to follow Christ with everything. It’s time for the American church to live out its mission statements of sending, planting and building in neighboring communities. I recently heard of a historic church that had dwindled to less than a dozen people. They made the difficult choice to sell their building and give all of the money to their network’s church planting fund. The funds they provided planted five new churches meeting in schools and shared spaces. Three years later only one of those churches failed to survive. The other 4 have a combined attendance of approximately 250 people and are growing, winning and baptizing. Do the math. From 12 people making a painful, kingdom-minded decision to 250 people now gathering to worship because of their support. Three of those churches are actively planning plants of their own. I am so thankful for the faithful example of that dozen senior citizens moving to build the kingdom rather than continue maintaining their own. I think I’m a Joshua (planner) looking for my Caleb (charger). I refuse to give any more time worrying about all the people with their big “buts” restricting us from impacting people with the Hope and Rescue of the gospel. We simply don’t have time to fight with each other about our own likes and dislikes while our neighbors are set adrift. 3500 churches close every year. Are we willing to do whatever we must to help people discover life in Christ or will we sit on our “buts” until we become just another statistic? Reaching our changing community will take changes in our methods and approach. Like missionaries, we must become students in our culture and learn how to better connect. We can continue with our Christianese jargon, we can continue to speak a different language or we can change and, like Paul, find a connecting point to begin life-changing conversations. If your answer includes anything beyond the unchanging gospel message it is likely that your buts are an obstacle that must be overcome. Format, method, structure, location and style must continuously be reevaluated to make sure we are culturally relevant and have a voice. I appreciate the church I heard about in the midwest that started a men’s service on Saturday nights. It was entirely designed to appeal to men who had no church connection. It included no music, a good amount of humor and messages that were always relevant to their daily lives. What impressed me most was the pastor would stand to deliver his message and have 20 minutes put on the scoreboard. When the buzzer sounded, he was done. Terrible, right? Except that it grew and men loved it. Some came to Christ and became active in the life of the church even bringing their families to Sunday services. The church grew and lives were changed because of that pastor’s crazy idea that received mostly criticism from churches and Christians all over the country. I think it’s time to get off our “buts” and do whatever it takes to impact our community with the hope and rescue we have in Jesus! Are we fence people or pole people? What fences have we erected? In March of 2011 I was in Los Angeles with an interesting mix of people. There were Canadian, Asians, Hispanics, Russians, African Americans and Caucasians. Some groups were loud and expressive, some were reserved, some were vocal and some were introspective. Some waved their arms in worship, some danced, some seemed prayerful, some sang out and some sang softly. And there in the middle of the crowd was our group of New Englanders with hands in pockets and eyes trained on the Powerpoint lyrics singing in a way not to disturb anyone. The amazing thing? We all fit perfectly and were at home. I was attending my fourth Church Planters conference in preparation for our new church launch in September. I’ve served in three different denominations and have somehow managed to always steer clear of the little distinctives while working to present rescue in Christ. I had never given it much thought until this conference where I discovered that I am more of a pole guy than a fence guy. The host denomination, the Evangelical Covenant Church, was described as a “pole” denomination by one of the main speakers. I listed intently mostly because he was describing me. The ECC group, he said, includes many different methods and expressions all going out from the same “pole” of salvation in Christ alone. That rang true with me. Some of the churches I have served in have been defined by a series of restricting fences rather than the central, unifying pole. Their fences keep them in and put up walls so that they did not appreciate or interact with others who worship Christ. I’ve never been much of a fence guy. I’ve always been biblical but not doctrinaire. I’m a pole guy. I can appreciate expressive worship and traditional. I can worship with my brothers and sisters in most any gathering when Jesus Christ is the central pole. 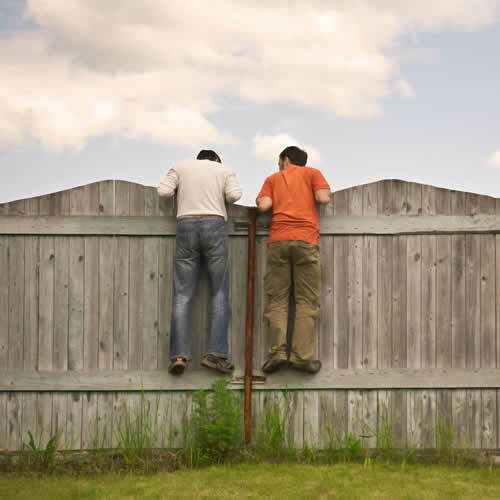 I’m not a fan of fences that restrict our mobility in reaching out, moving and connecting with others. 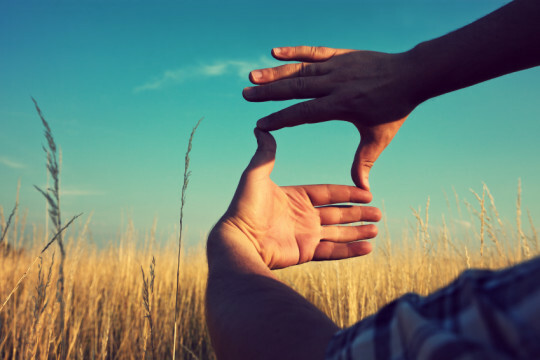 Subjective fences of methodology, format and structure have penned in many a church body. May we always be “pole people” gathered around the centrality of Jesus Christ. There is no fence that contains Him, even the very gates of hell cannot contain the church.